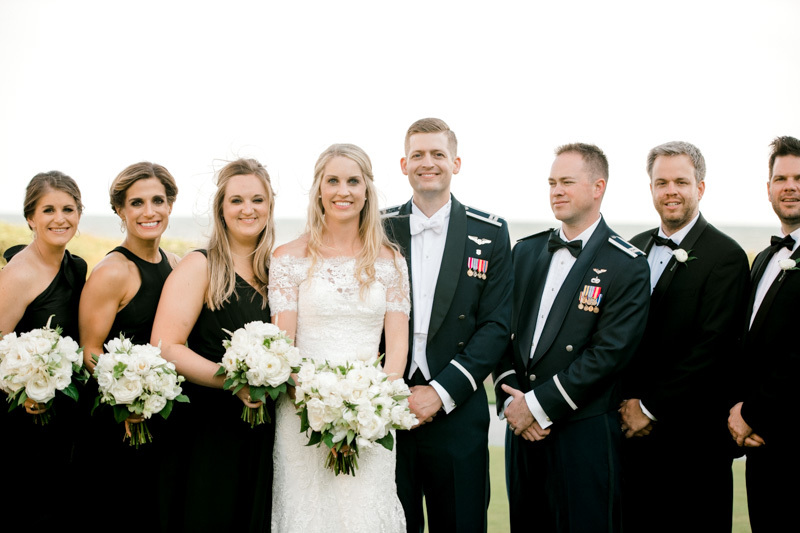 In March of 2015, Laura and Dan officially met for the first time as they walked down the aisle: as a groomsman and a bridesmaid in their friends’ wedding, that is! 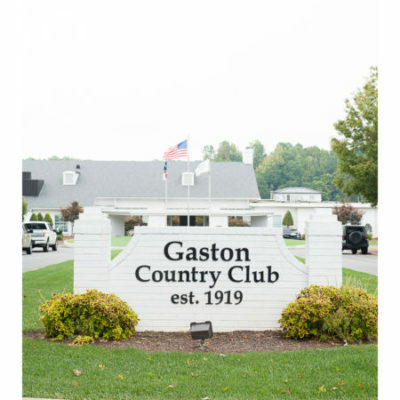 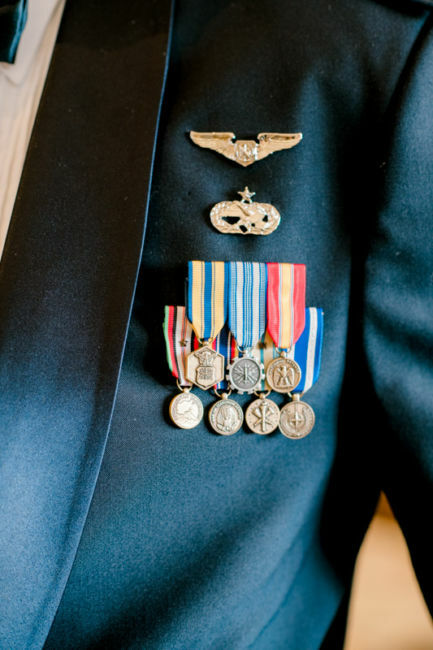 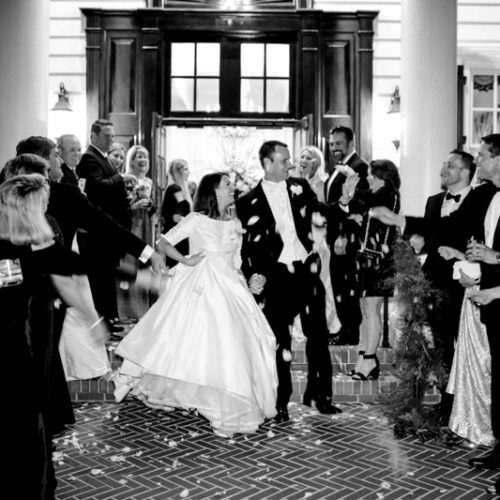 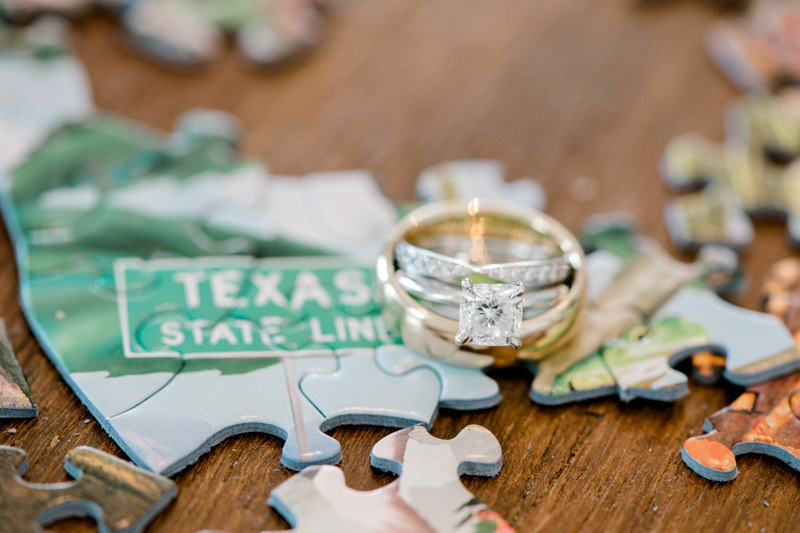 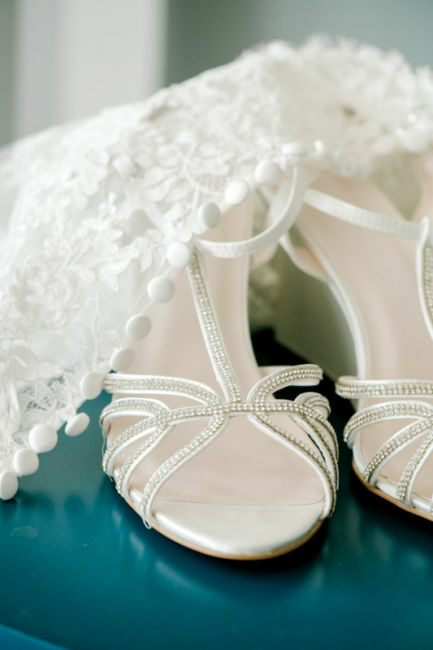 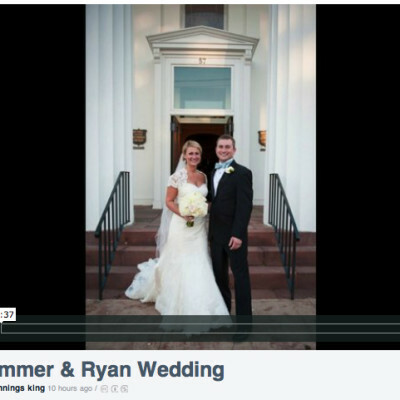 As luck would have it, they danced the night away at this wedding and the rest is history! 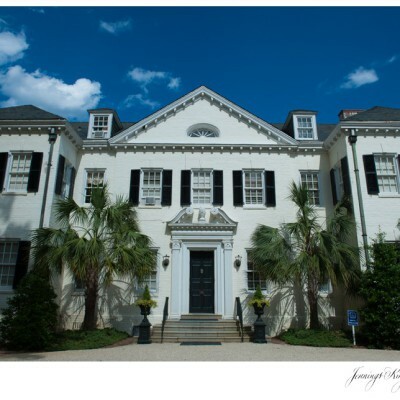 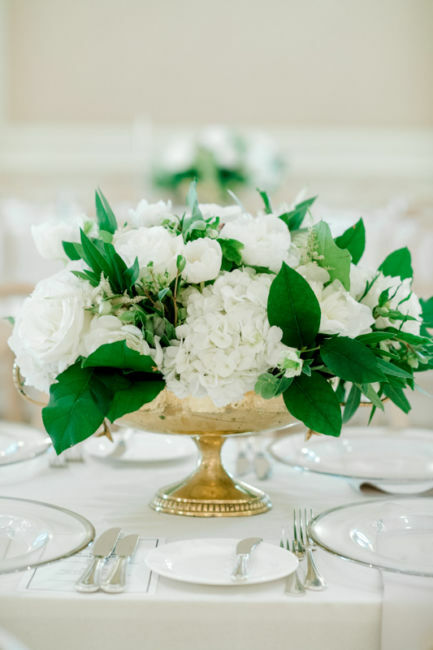 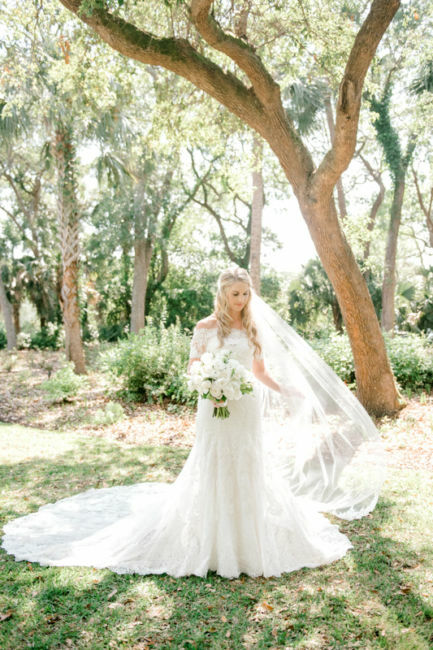 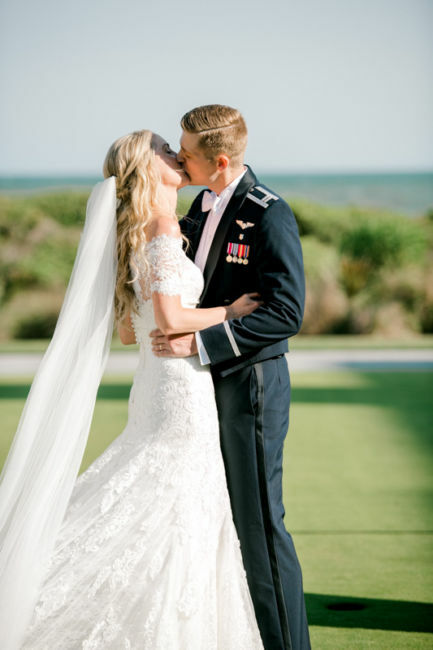 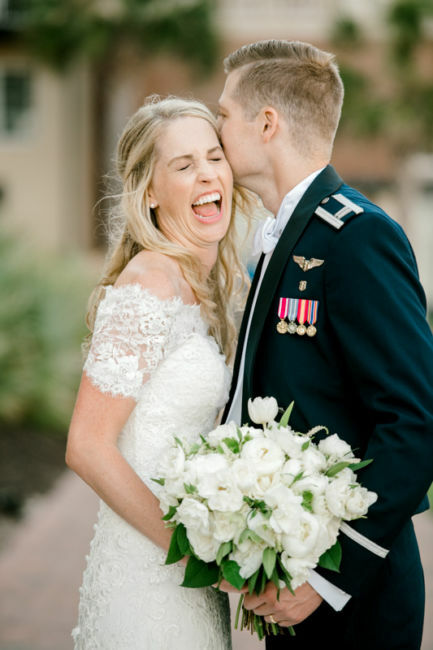 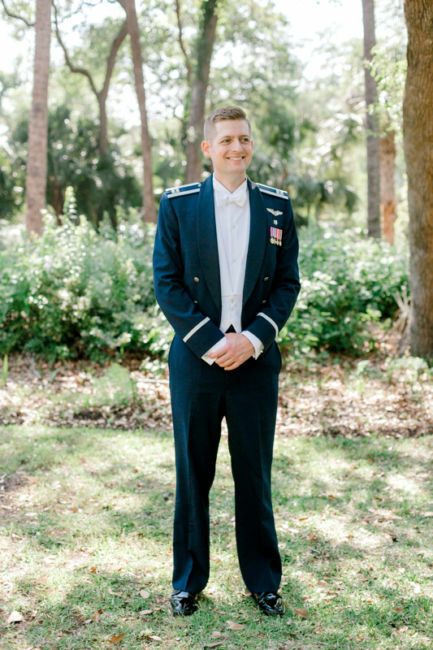 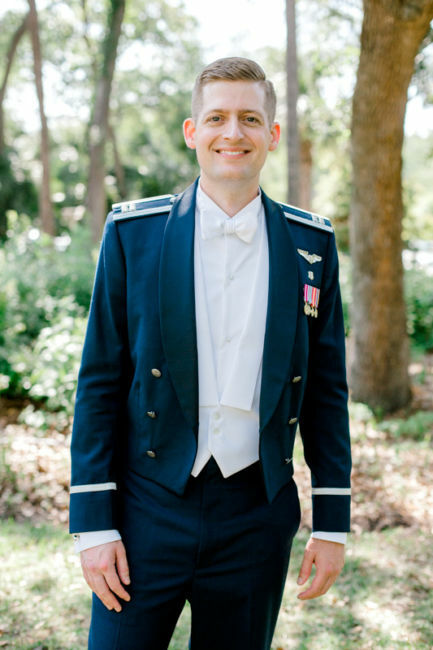 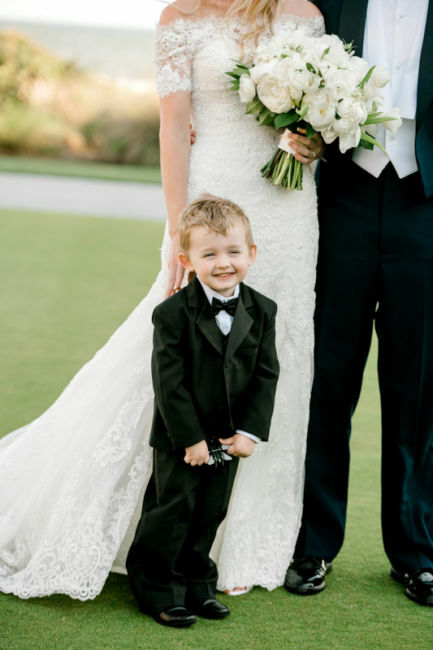 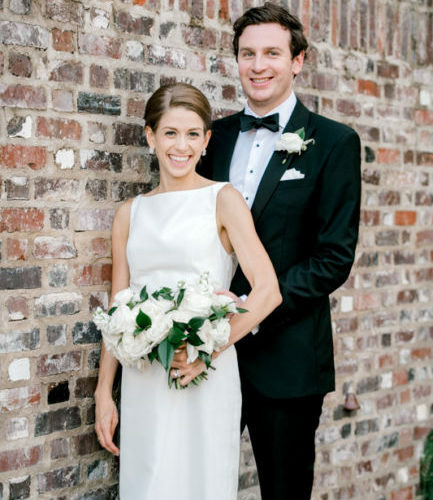 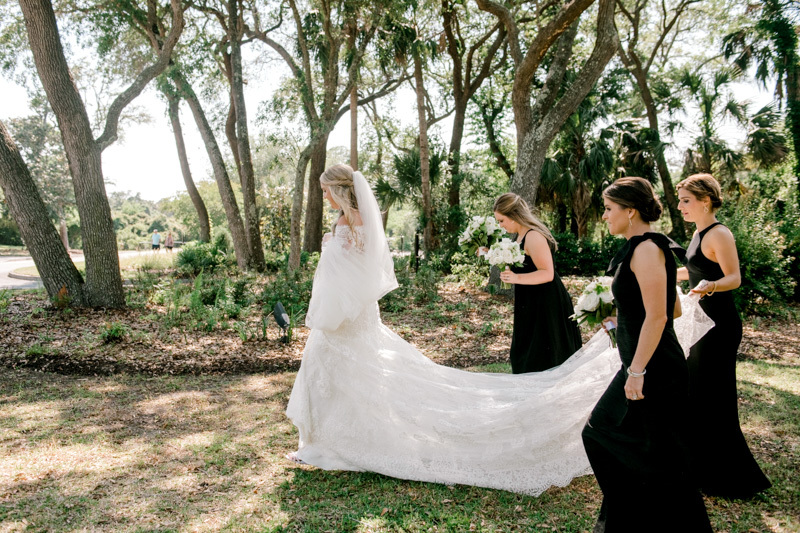 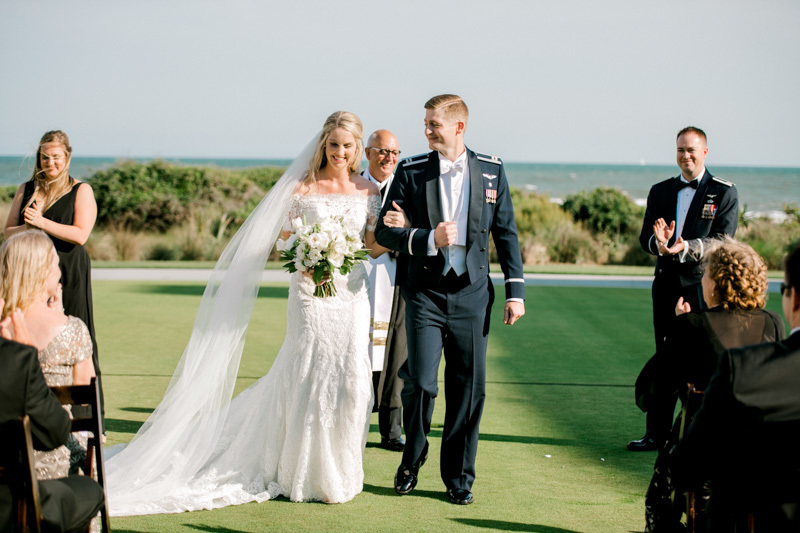 They married on May 12, 2018, at the Sanctuary on Kiawah Island. 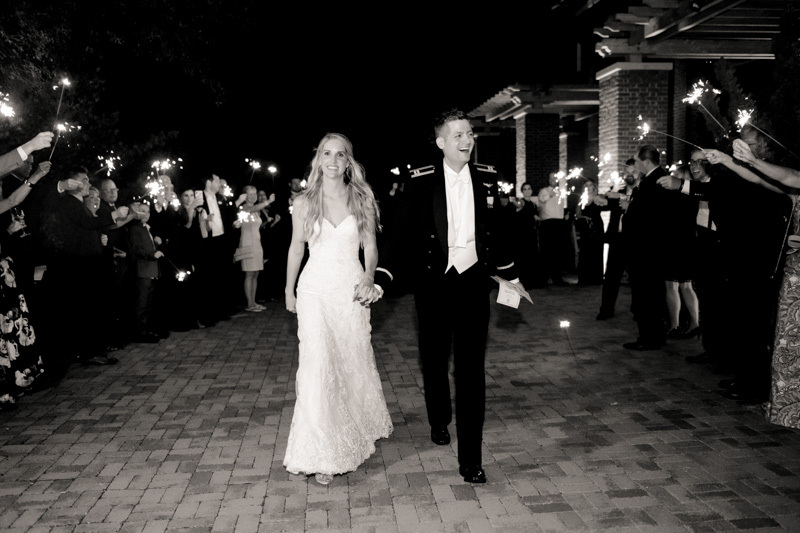 A classic, traditional ceremony was followed by a night full of dancing and celebrating the newlyweds. 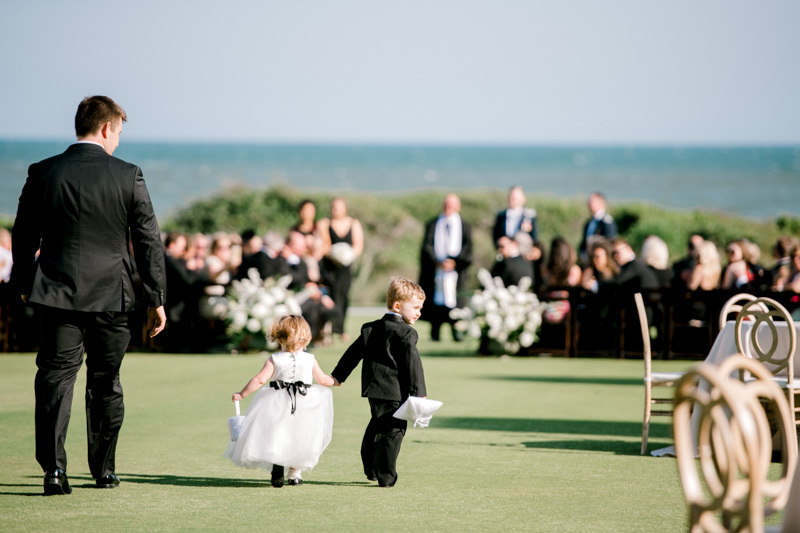 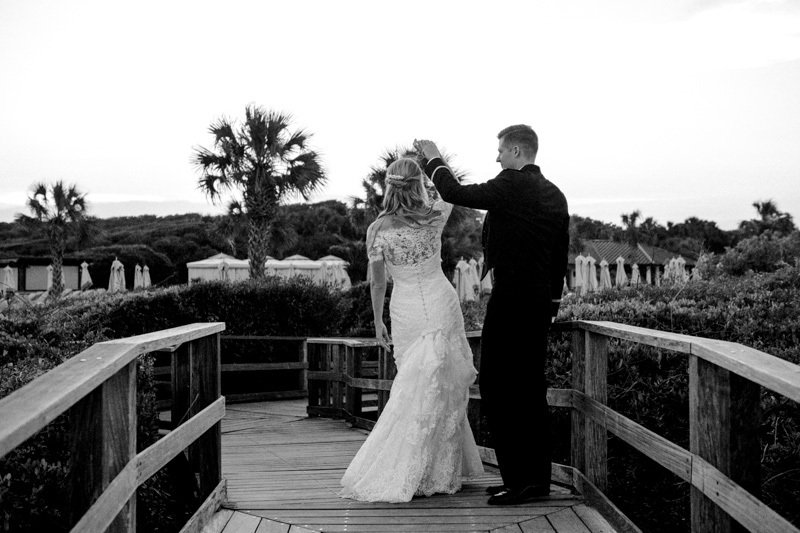 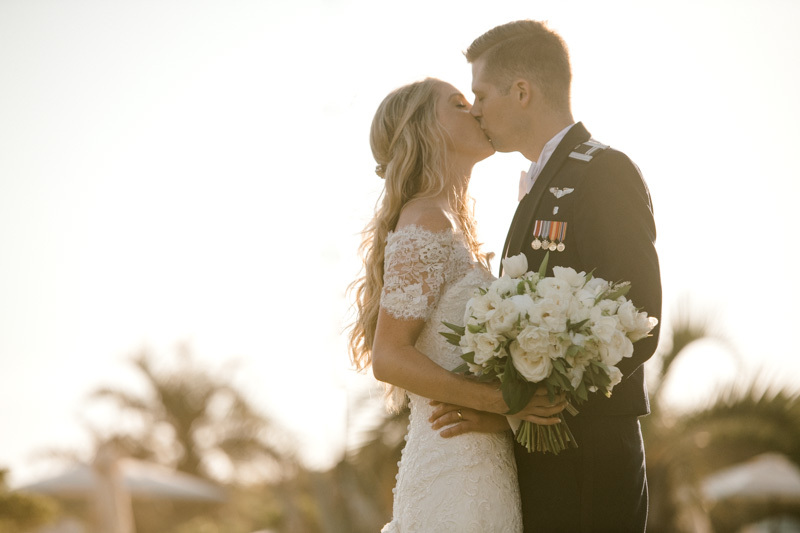 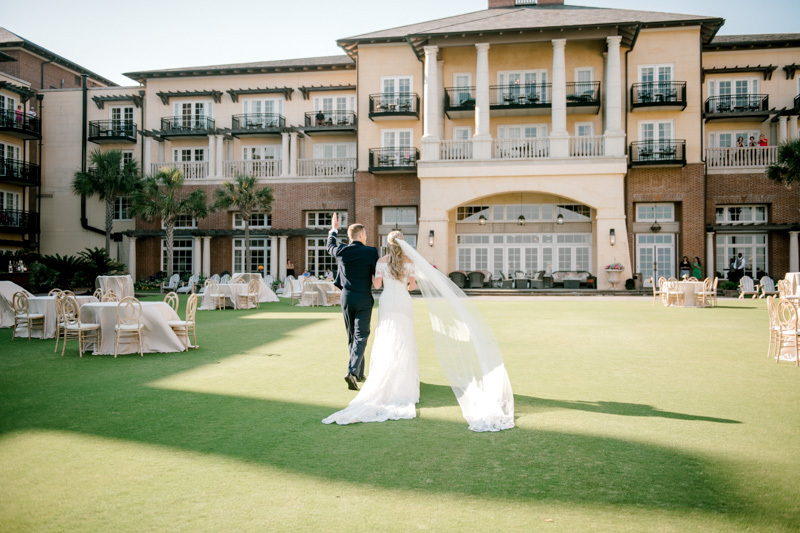 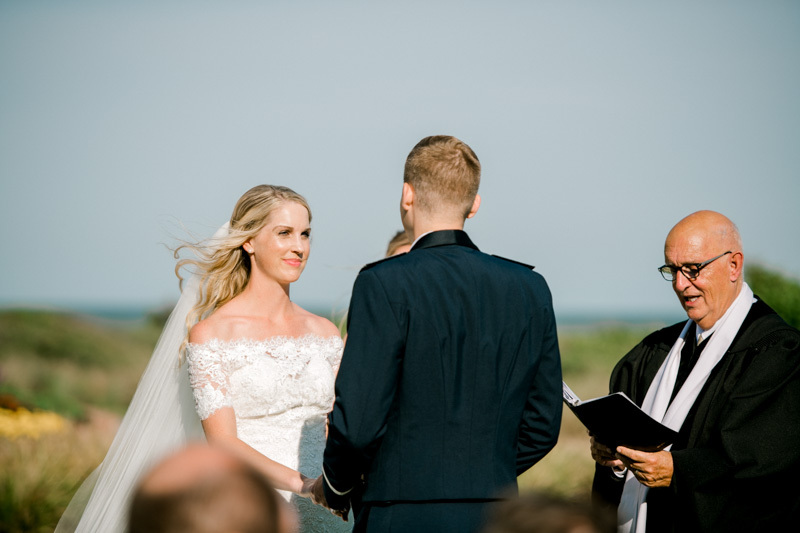 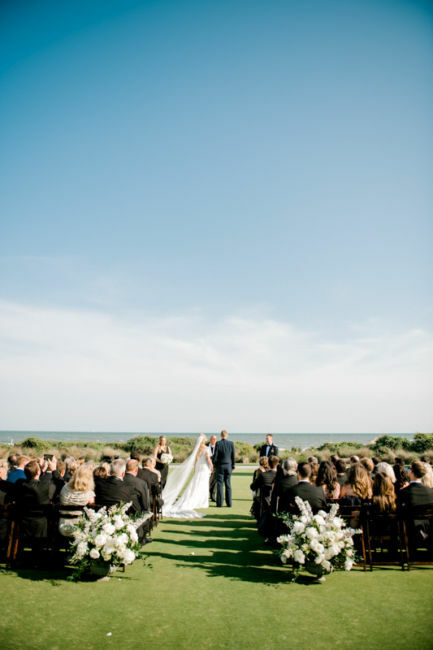 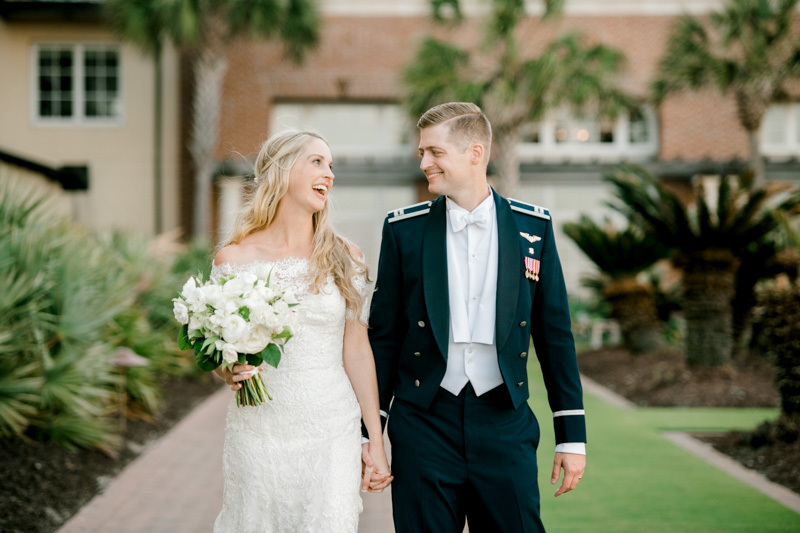 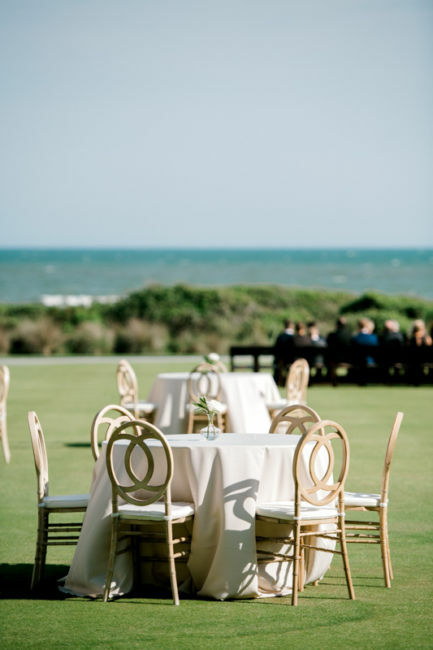 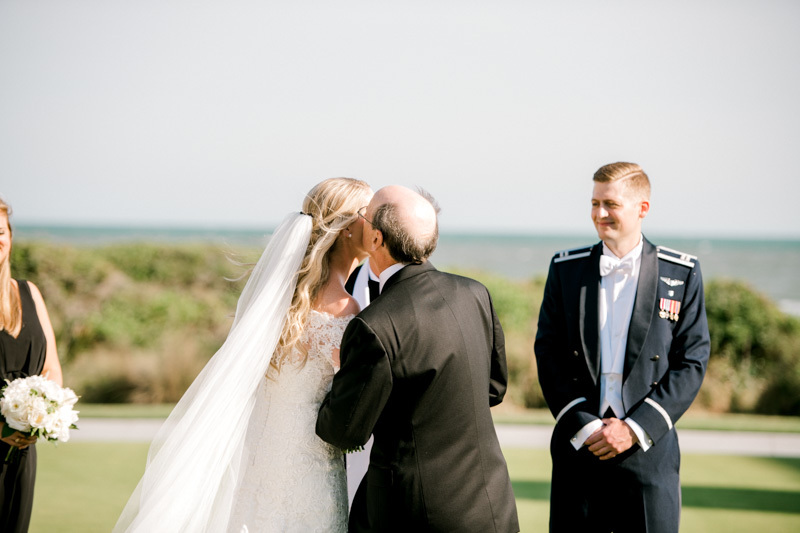 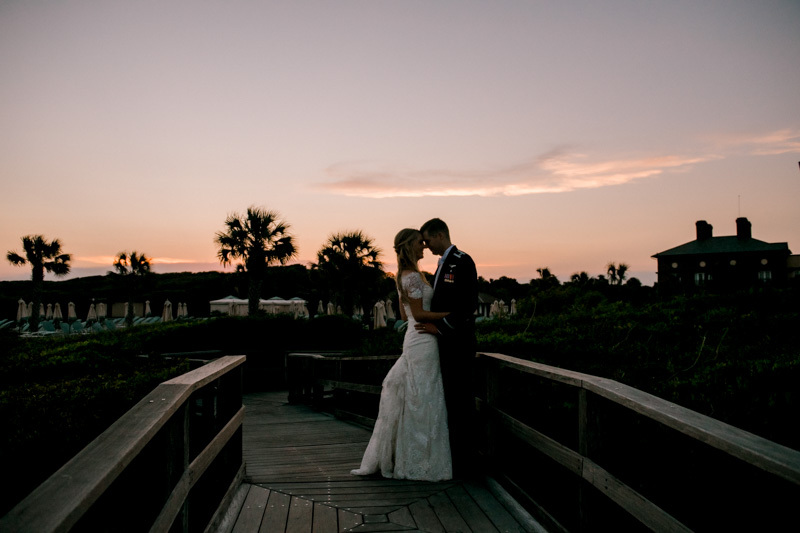 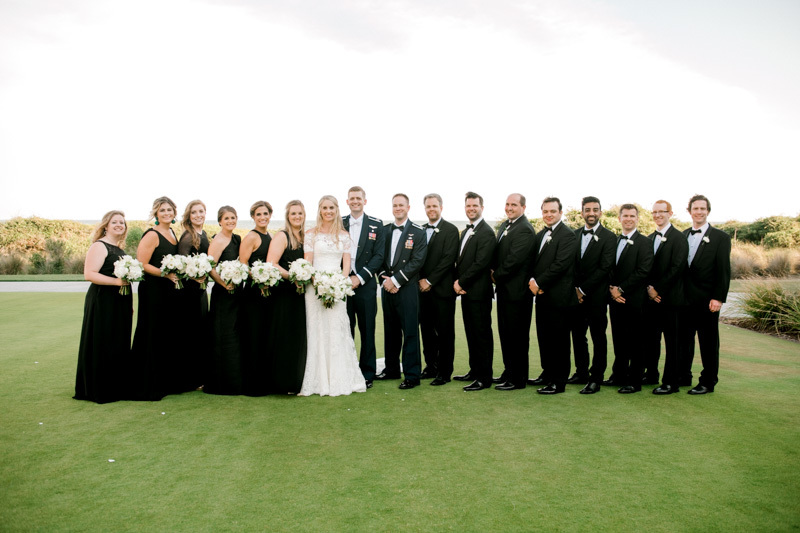 Laura and Dan could not have had a more perfect bright, breezy day – the ocean and blue skies on Kiawah were beautiful backdrops. 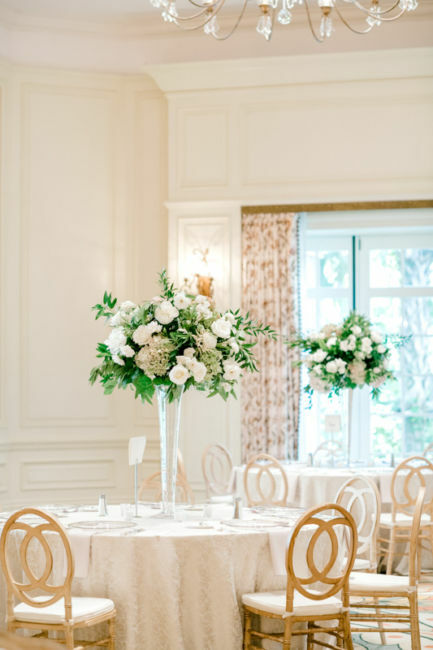 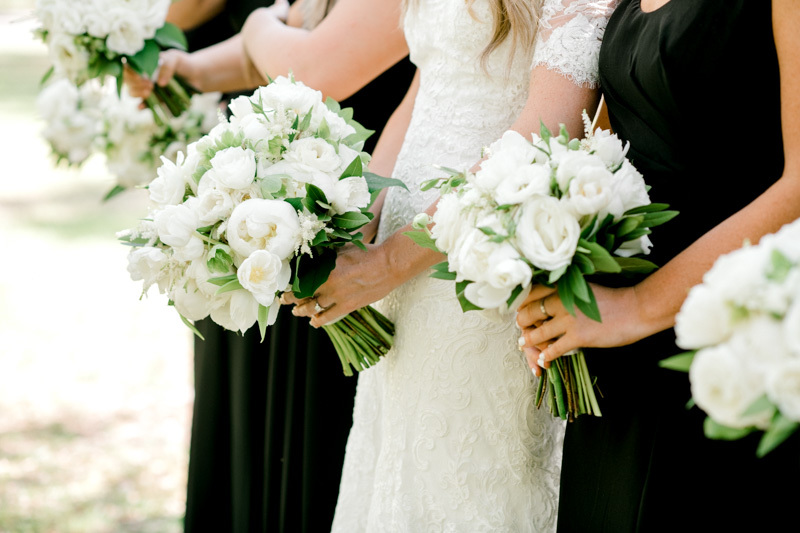 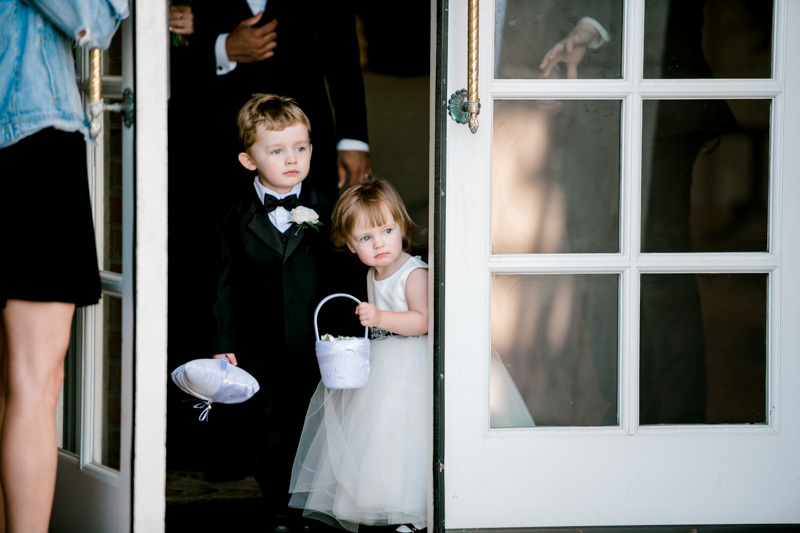 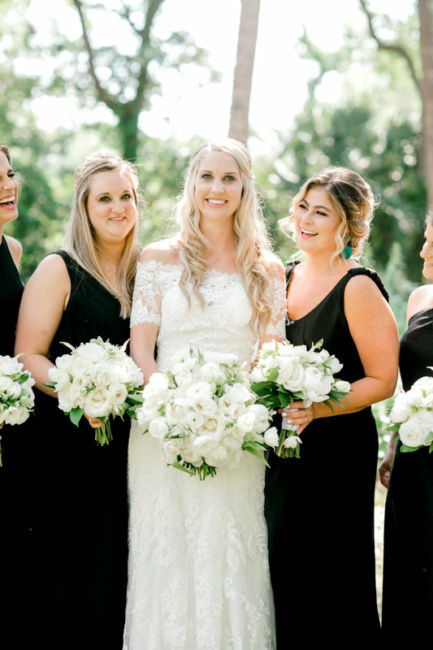 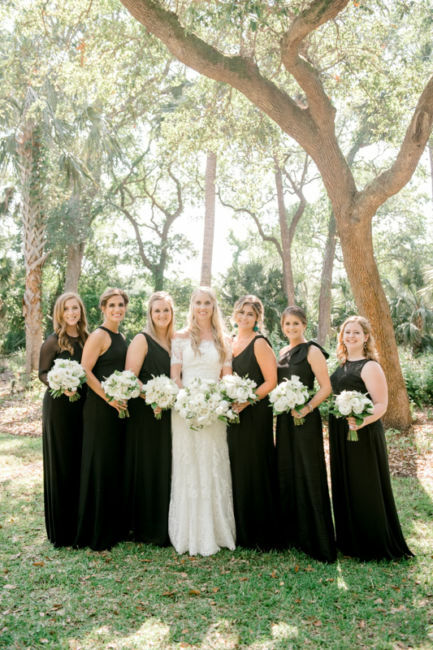 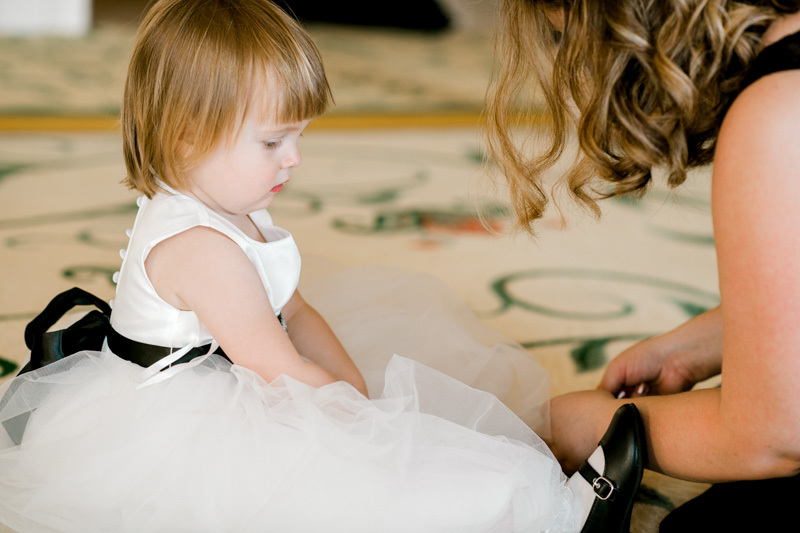 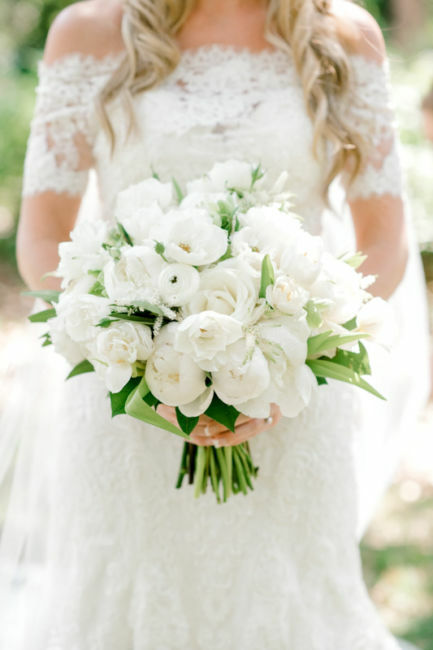 The soft white ranunculuses in the bouquets and flowing black bridesmaid dresses added a classic feel to the wedding. 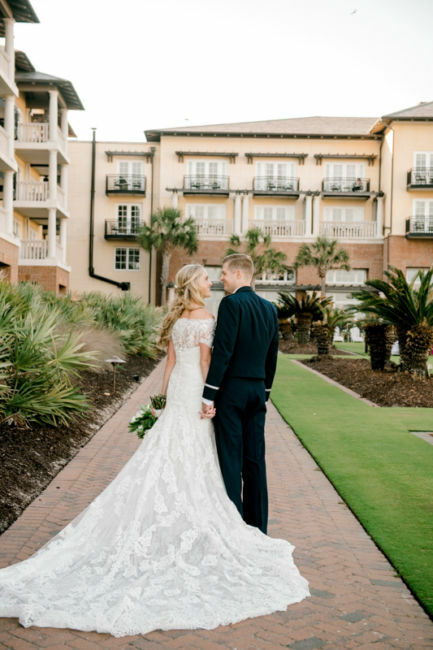 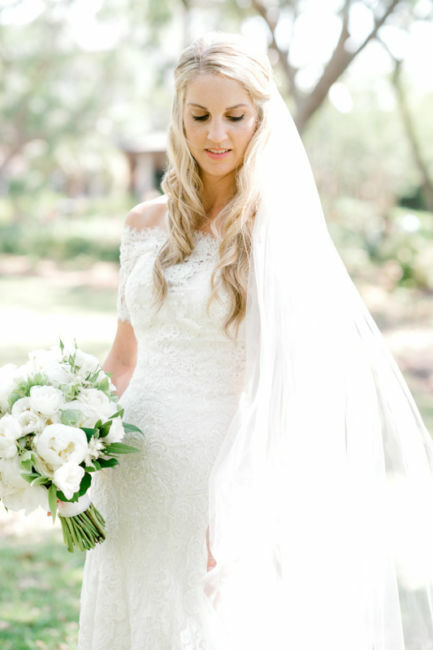 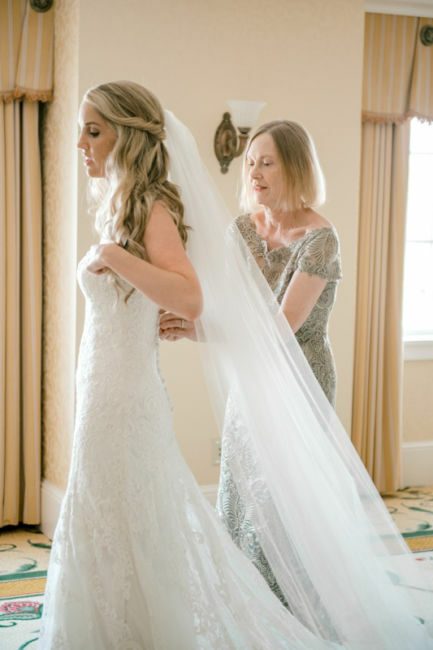 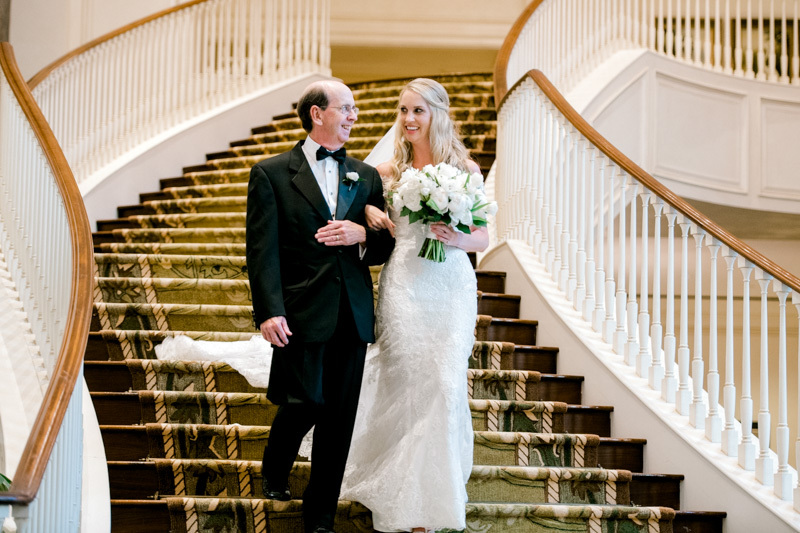 Laura looked gorgeous in her off-the-shoulder lace gown. 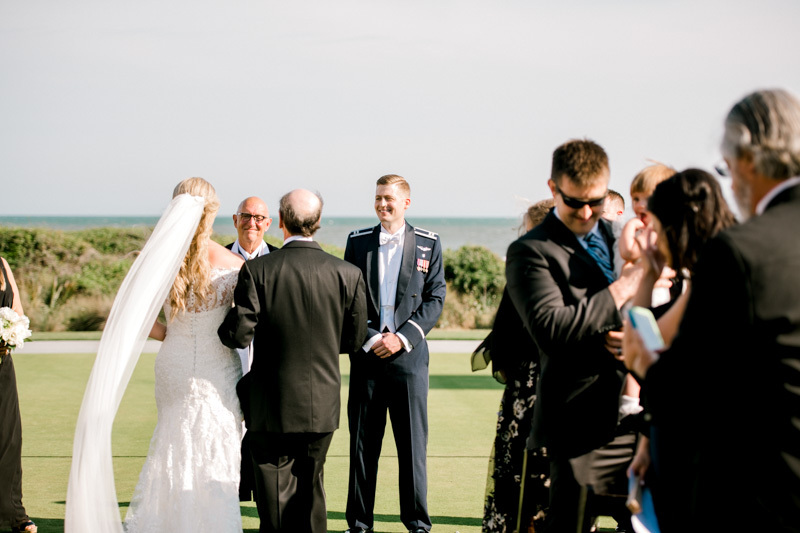 When the newlyweds hit the dance floor, Dan surprised Laura with the music of their first dance. 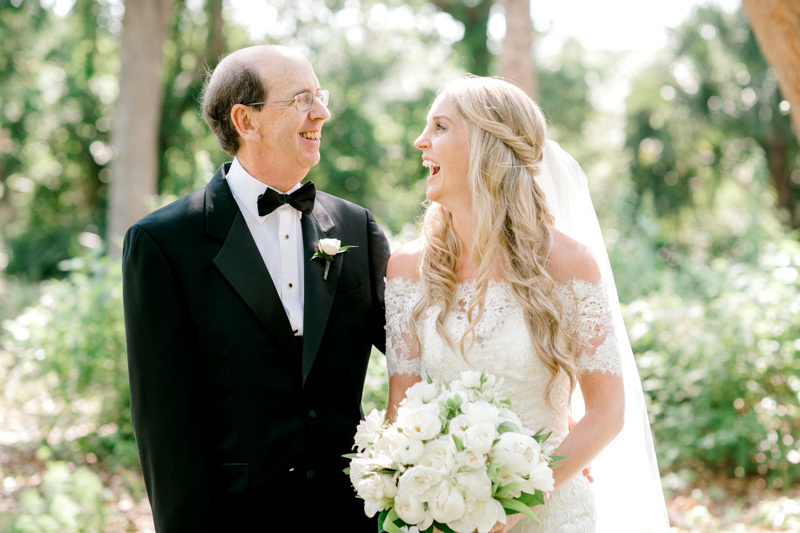 He had remembered the song that played when he first slow danced with Laura, Cheek to Cheek by Louis Armstrong! 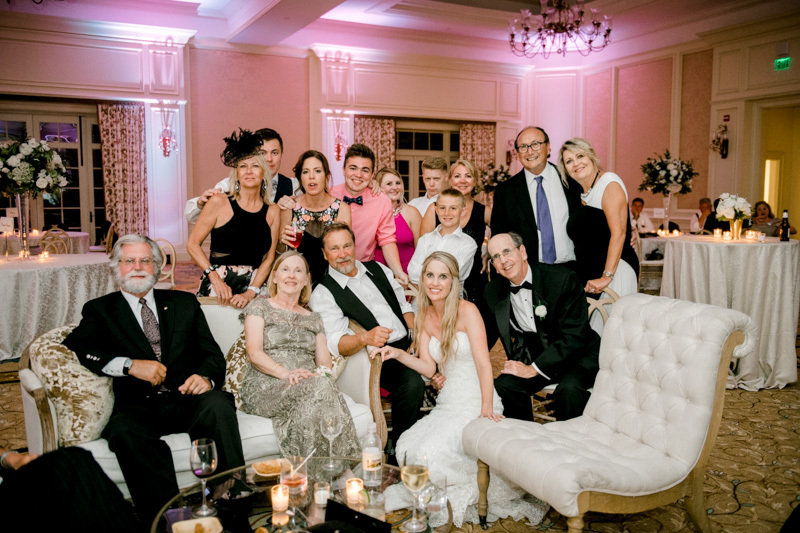 Friends and family joined the new Mr. and Mrs. Ensley on the dance floor and celebrated all night.